Players who first visit Bingo Spirit casino will find that the website itself has an open, bright feel to it, with graphics that show the open sky, as well as lush, green fields. This is a great way to introduce a casino and gives players the impression that they are heading somewhere familiar and exciting all at once. The deposit options offered by Bingo Spirit casino include Visa and MasterCard, Solo, Bitcoin, Skrill, Switch, Neteller, Bank Transfers and Ukash. Withdrawals can be made via Bank Transfers, Bitcoin, Neteller, Visa and Skrill. Bingo is the most popular gaming option offered by Bingo Spirit casino, and this is likely most apparent due to the site’s name. Still, players can expect to not only come across an extremely wide selection of games, but also games that have been designed to appear very unique in terms of theme. The bingo games have been made all the more special by offering players unique jackpots and special prizes, which are attached to each game. This makes exploring the various games a very exciting past time for players. No online casino is complete without a wide selection of video slots, and so Bingo Spirit casino has worked hard to be able to offer players some of the best titles on the market, including Winds of Arabia, Birds!, Weekend in Vegas and Rooks Revenge, among others. When it comes to variety, Bingo Spirit casino is making sure that it can hold its own with the best in the industry and this is why players also have the chance to access games such as Keno, video poker and table games. Some of the more popular table games on offer include; blackjack, All American, Casino War and roulette, both the American and European versions. Players can access the mobile version of Bingo Spirit casino via their Android, Windows and iOS tablets and smartphones. The bonuses on offer at Bingo Spirit casino make visiting this site all the more exciting. 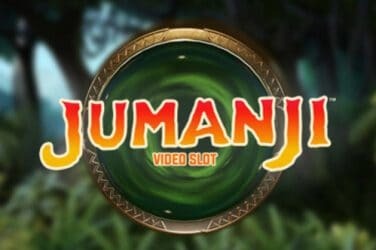 For starters, the site is currently boasting a Bingo Welcome bonus that is staggered over three deposits, allowing players the chance to keep getting rewarded every time they return to the site. What is more, the site offers daily reload bonuses, where players simply need to make a minimum deposit in order to qualify for some great rewards. Promotional bonuses need to be wagered 40 times before a withdrawal can be made. Customer service is available to players on a 24/7 basis and players can get in touch with support via the live chat feature. Those who would prefer to get in touch another way can always contact the team via email. Bingo Spirit casino makes use of 128-bit SSL encryption technology to protect the personal and banking information belonging to their players. Furthermore, their games are independently audited to ensure that they are fair. Players searching for a quality casino will be happy to know that Bingo Spirit casino offers a great experience, including some thrilling bonuses, a great customer support team and some truly exciting games. Overall, players not only have a great reason to sign up for Bingo Spirit casino but many reasons to keep coming back.